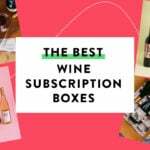 Check out the latest Terra's Kitchen Coupon on My Subscription Addiction! Terra’s Kitchen Coupon – $80 Off Your First Four Boxes! 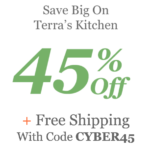 Terra’s Kitchen Cyber Monday Coupon – 40% Off Your First Box! Terra’s Kitchen Black Friday Coupon – 40% Off Your First Box! Terra’s Kitchen Coupon – Save $75! Terra’s Kitchen Mother’s Day Coupon – Save $75! Terra’s Kitchen Earth Day Coupon – $40 Off Your First Box! "I love love this box and Margot Elena is my absolute favorite. Even when things aren't exactly something I would..."
"I was thinking the same thing! Lol"
"Lol definitely not worth it."